What's Wrong With Starbucks' Pumpkin Spice Latte? Jess Barron is Editor-in-Chief of LIVESTRONG.COM. Read some of her other health and fitness articles here. A longtime foodie and fan of Farmer's Market food, Jess particularly loves heirloom tomatoes, fresh figs with burrata cheese, and anything with pumpkin or peanut butter in it! Her love for food fuels her desire to exercise daily. In the summer of 2012 Jess lost 20 pounds in a test group for a new fitness program. Some of her favorite workout routines include walking, running, yoga, P90X, INSANITY, and mixed martial arts. Jess's writing can also be found at Poprocks.com. She has appeared on MSNBC's "The Most," ABC News Now, and XM satellite radio and her writing has appeared on Wired.com and Yahoo! Follow Jess on Twitter @jessdandy. Also, you can add her on Google+ and follow her on Pinterest. Anyone who's wandered the aisle of a Trader Joe's has noticed the explosion of pumpkin foods and beverages. According to Nielsen, as of late August 2018, pumpkin-flavored products were already flying off the shelves, bringing in $6.9 million in sales — all before the official start of the fall season. And the popular flavor shows no signs of stopping: Products labeled as pumpkin-flavored have already seen an increase of 15.5 percent in sales from 2017. 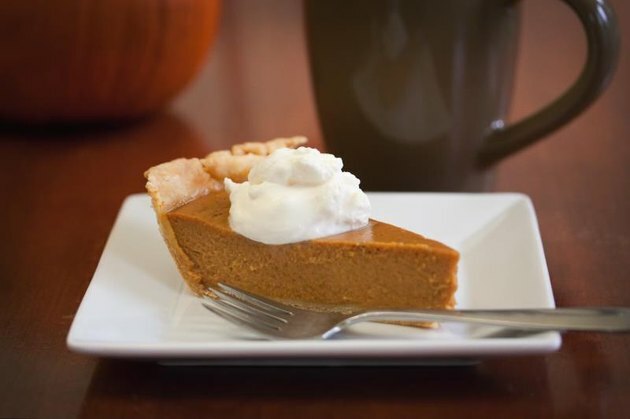 One of the most widely-known fall pumpkin dishes is none other than Starbucks' Pumpkin Spice Latte, or PSL. Launched in 2003, the PSL is now a very popular teenager, with a social media presence to match. 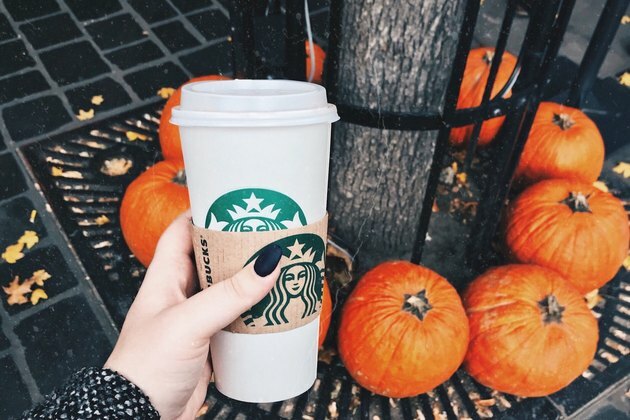 In fact, Adweek reported that Instagram photos of Starbucks' pumpkin spice lattes are receiving 493% more likes per photo than other shots tagged with #Starbucks. There's no denying that the PSL is a cultural phenomenon, but what's actually hiding underneath that picture-perfect foamy drink? The PSL: A Nutritional Disaster? While its volume might look more manageable compared to a slice of pumpkin pie, the PSL can be deceiving. A grande Pumpkin Spice Latte (or 16 oz.) with 2 percent milk and whipped cream equals a setback of 380 calories and 50 grams of sugar. That's two times as much sugar as a slice of pumpkin pie. As for its actual contents, the PSL boasts carrageenan and mono- and diglycerides. Say what? Carrageenan is a food additive made from seaweed and commonly used as a thickener or emulsifier in packaged foods such as ice cream, almond milk and coconut milk. It has also been connected to inflammation and gastrointestinal issues. Mono- and diglycerides are a Mono- and diglycerides are a type of incomplete fat that is added to processed foods to help bind the ingredients and/or increase the shelf life. They’re created from an animal source (derived from a pig or cow), a vegetable source (usually canola or soybean oil) or may be synthetically produced. A Pumpkin Spice Latte will generally set you back between $4.25 to $4.45 for a 12-ounce, or tall, drink. With 89 days in the fall season, drinking one PSL every day for $4.25 per drink would mean $378 dollars per season down the pumpkin drain. Want to take a more DYI approach to your seasonal cravings? 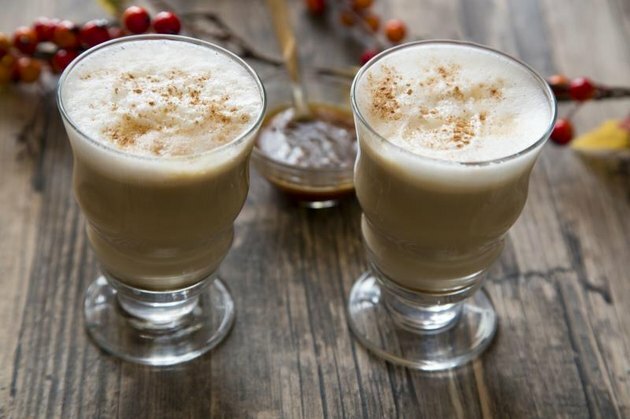 Bloggers such as Lindsay Nixon of Happy Herbivore and Genevieve of Mama Natural have created their own version of the treat — and inspired the LIVESTRONG team to create a delicious 125-calorie pumpkin spice latte recipe that vegans and non-vegans can both enjoy. 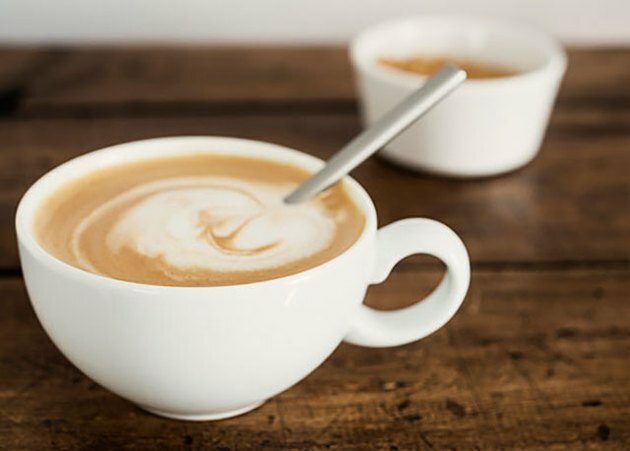 This recipe will make one grande-sized latte that contains 125 calories and 15 grams of sugar. To see the carbs, fat and protein content, you can view this recipe in LIVESTRONG.COM’s free food and recipe tracker. NOTE: If you don't have an espresso maker, you can use 4-6 ounces of very strong coffee. When you have your coffee ready, add the pumpkin, spices, vanilla extract and maple syrup to a mixing glass or blender and mixtogether. When smooth, remove from blender and pour into mug. Froth your almond milk using the frother on your espresso machine OR if you don’t have an espresso machine, put your milk into asaucepan and cook at medium heat until it’s simmering. Pour into theblender and blend on high until it gets frothy. Pour the milk into a coffee mug carefully, using a spoon to hold the froth back, then spoon the froth on top. And if you want to make a fantastic, low-sugar pumpkin spice latte (with actual pumpkin in it!) at home, check out this fabulous DIY version. Enjoy!